A massive security flaw in OpenSSL encryption has left millions of internet users vulnerable to attacks by cyber criminals. With this vulnerability hackers can now snoop on your internet traffic and steal massive amount of data including usernames and passwords for affected web services. 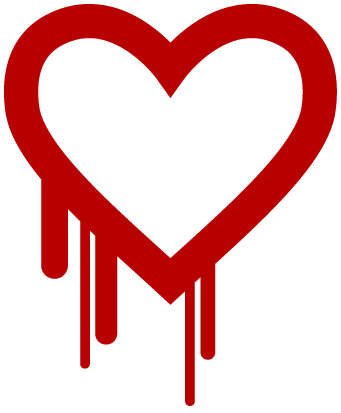 As announced by security researchers, the Heartbleed bug has been existing for two years and its only recently that security analysts have stumbled upon it. However security analysts are still not sure whether hackers were exploiting this flaw or not. Many major websites including Yahoo.com and OKcupid.com were found to be affected by the heartbleed bug. As of now most websites have already patched the Heartbleed bug, However it is still advisable to change the account credentials for any online services that you’ve logged into recently. While most websites are busy patching the heartbleed bug, Internet users on the other hand are still not protected by the heartbleed bug. Major websites affected by the Heartbleed bug have already informed their users about this security flaw and encouraged them to change their passwords immediately. 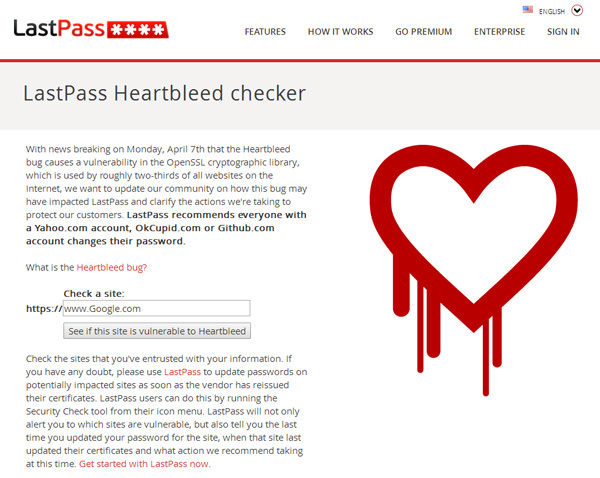 Fortunately, security firm Lastpass has set up a Heartbleed checker which will let you enter any website and check if its affected by the heartbleed bug or not. Alternatively you can also you can check this list of the Top 10000 websites affected by the Heartbleed bug.